After you have your braces removed, most patients receive a retainer that they wear at night to keep their teeth from moving. But what kind of retainer should you have, and how long should you wear it? 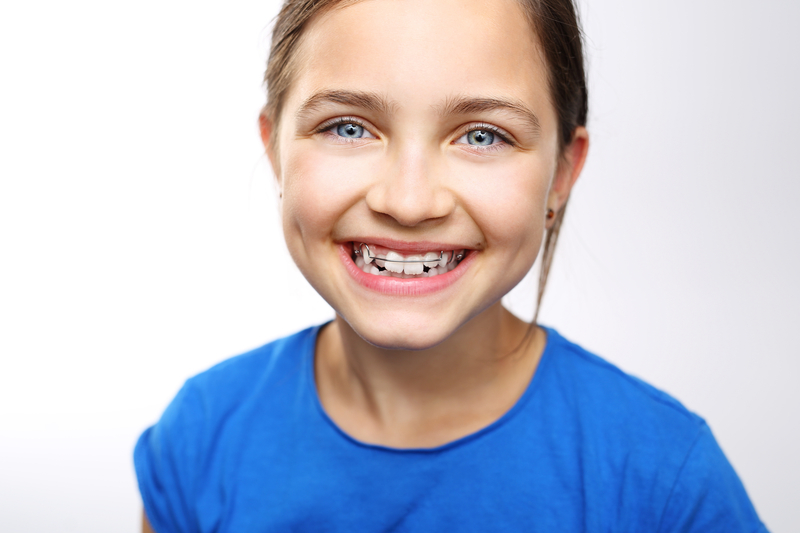 Retainers maintain oral health after braces by keeping your teeth in the correct alignment. Many people fail to use their retainers properly, and have to be fitted for braces again. Learn how to prevent your teeth from moving after braces and how to keep your teeth straight! After you complete your time with braces, it will be necessary for you to consistently wear the retainer that your orthodontist advises you to wear. A retainer is an apparatus made of plastic and metal that is custom-made for each patient’s teeth and mouth. No two retainers are alike, but they all serve the same function as they seek to keep our teeth aligned properly after our braces are removed. Most people have to wear a retainer after they get their braces off, but many times people wear retainers to close gaps in their teeth, help with a speech impediment, or address specific medical issues. Retainers are especially important after your braces are removed, though, because our teeth will attempt to return to their original position after treatment. Another type of tooth movement that we want to avoid is natural physiological drift, which happens as the width of our smiles gets narrower as we age and our teeth begin to crowd. This occurs to everyone, but consistently using a retainer can prevent this shift in our teeth. Getting your braces removed is definitely an exciting moment, but keeping your teeth straight is a lifetime effort. Our newly-aligned teeth need time to settle into our soft tissue and jawbone, and wearing your retainer helps this process be successful. 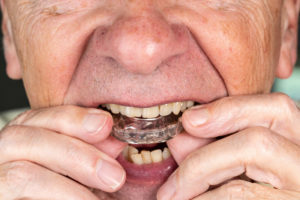 Wearing your retainer at night and in between meals allows your teeth to hold their new form and prevents them from shifting back into their old position. As our bodies grow, our teeth follow suit, and retainers maintain the new tooth position that your braces achieved during your treatment. 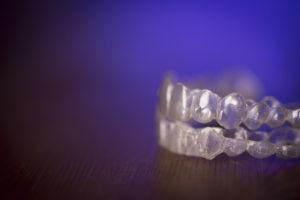 At the beginning, it may be necessary to wear your retainer all day for a few months, or you may only have to wear it at night a few times a week. Your orthodontist will advise you on how long and how often you should wear your retainer, and it is important that you follow all recommendations that you are given. 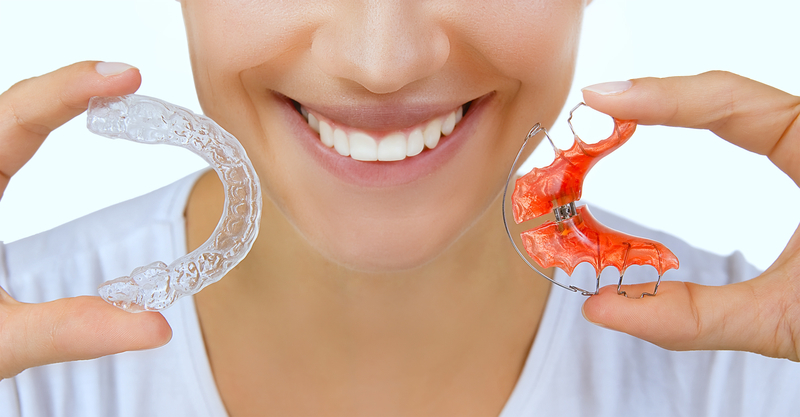 There are two main types of retainers that are used: removable and fixed. Removable retainers can be removed whenever you eat and brush your teeth, but typically must be worn full-time for at least one year after you get your braces removed. Hawley retainers are the most common type of removable retainer and is fit to your mouth shape with wires that wrap around your teeth. Invisible, or Essix, retainers are made of clear plastic that makes it look as if you’re not wearing anything, which increases its aesthetic appeal. 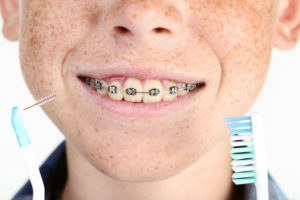 Depending on the treatment plan you received during your time wearing braces, your orthodontist may recommend only wearing either of these two removable retainers at night. On the other hand, fixed retainers are those that are cemented to the backs of your teeth and kept in place for several years, even decades. This type of retainer is useful for those people who don’t want to worry about constantly removing their retainer or whose teeth have a higher likelihood of post-braces movement. Depending on which type of retainer you use, there are certain instructions that are recommended to properly care for your retainer. For fixed retainers, regular dental checkups are essential to monitor for cavities and clean out any tartar or plaque. When flossing, make sure to use a floss threader that will allow you to go underneath the wire and clean between the teeth. As an additional measure, use a waterpik to rinse out food around the wire. 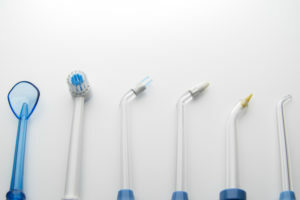 Waterpiks should not replace normal flossing because floss physically removes bacteria from the teeth and gums while a waterpik merely rinses those areas. Although fixed retainers are incredibly strong, they can still break. Try to avoid biting hard foods, like carrots and nuts, with your front teeth to avoid any damage to your retainer. For a removable retainer, make sure to scrub it with soap and a toothbrush daily, or you can try soaking them in denture cleaning tablets or vinegar and water. Whenever you take out your removable retainer, make sure to keep it in a reliable case where it can be protected from pesky pets or avoid being accidentally thrown away. 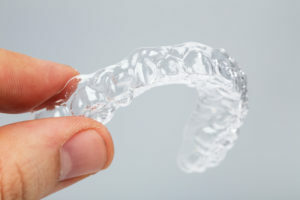 Don’t wear your retainer while playing sports, especially swimming, skiing, or contact sports, and make sure to avoid heat by keeping them away from hot water or hot car dashboards. Retainers play a vital role in keeping our teeth straight and preventing oral health problems, such as teeth crowding, but they aren’t the only recommendation for maintaining good oral health. Make sure to continue flossing and brushing your teeth daily, while visiting with your dentist every six months for a general checkup. For more information on the different types of retainers that are available and what would be the best fit for you, call Belmar Orthodontics at (303) 225-9016 to learn how to improve your smile and oral health! 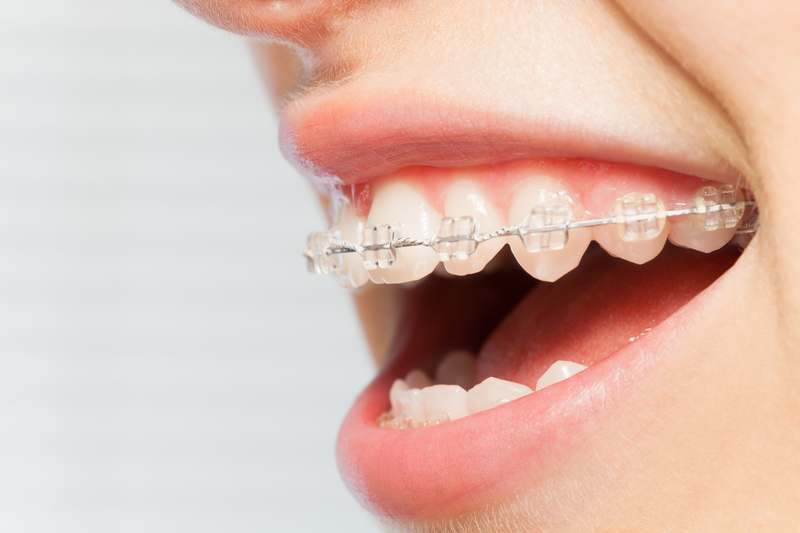 Braces are incredible devices that can help transform your teeth and reshape your jaws. However, they are not always fool-proof. Every so often, a patient will have a dental emergency. That may be a bad cavity that needs to be fixed, or a bracket or wire will break. There are only a few dental emergencies that can happen with braces. We can help you to know what to do when each of those emergencies happen! Orthodontic treatments have been around for a long time-even as far back as the ancient Egyptians! 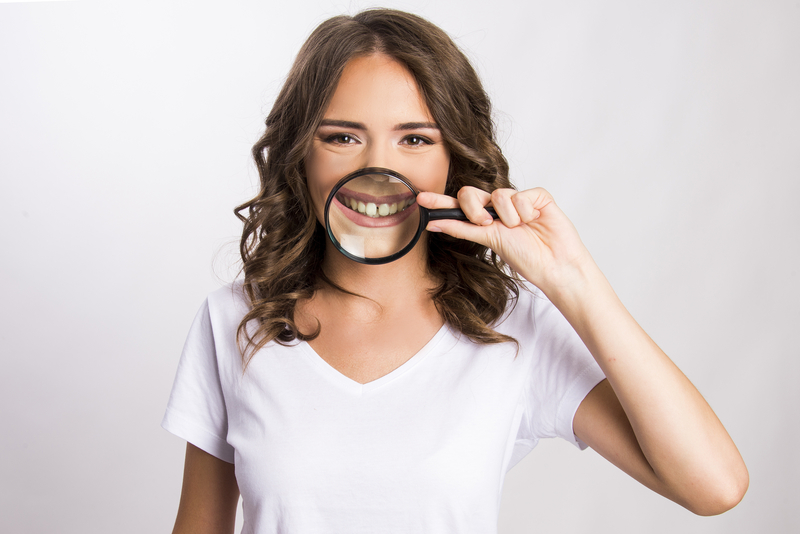 Although their ways were archaic, people for centuries have been trying to fix crooked teeth and develop a prettier smile through orthodontic work. The ancient Greeks, Romans, and Etruscans were known to have practiced orthodontia, and interestingly, the Etruscans used to attach gold bands to women’s teeth to preserve the position of their teeth after death. Orthodontics saw a surge in progress during the 18th century thanks to Pierre Fauchard. Known as the “Father of Dentistry,” he invented an appliance called a bandeau, which was a horseshoe-shaped piece of metal with regularly spaced holes that fit around the teeth to correct the alignment. He would also use forceps to physically realign teeth into their correct positions and tie them to neighboring teeth until they healed. Orthodontics in the United States exploded during the 19th century. J.S. Gunnell created a type of headgear that fashioned to the head and exerted a soft pull on teeth while Charles Goodyear invented vulcanized rubber which would eventually become one of the most commonly used appliances in orthodontics. But Edward Hartley Angle, the “Father of Modern Orthodontics,” took orthodontics to another level by identifying the true properties of malocclusion, or misalignment, and addressed them with his own set of orthodontic appliances in 1880. 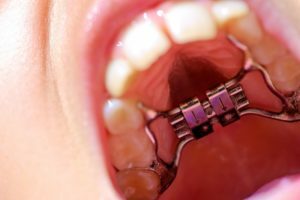 Until the 1970s, orthodontist would attach anchored brackets around each tooth with winding wires, but with the invention of dental adhesives, orthodontists could then stick the brackets to teeth surfaces. 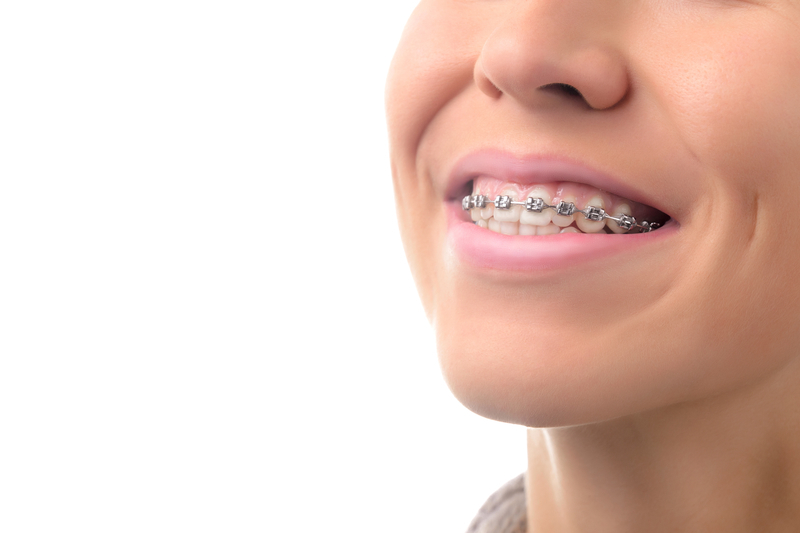 Stainless steel then replaced gold and silver as the most popular option for wires, due to its manipulability, and became the most cost-efficient option for braces. Braces have come a long way since their beginnings many centuries ago, but as braces have evolved, so have the problems that come with them. 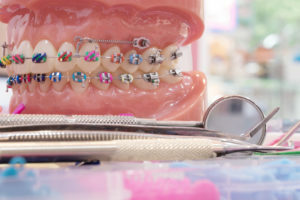 Although dental emergencies are few and far between when it comes to braces, there are some common issues that can be readily addressed and fixed if serious enough. The least serious issues that you can have with your braces is tooth tenderness and lip and cheek sores. As your teeth become accustomed to your braces, your teeth will most likely be sore for 2-4 days. Using headgear, rubber bands, and springs can add to this soreness, but that discomfort normally goes away in the same amount of time. Eating soft foods and taking an over the counter pain reliever can help dull the ache. 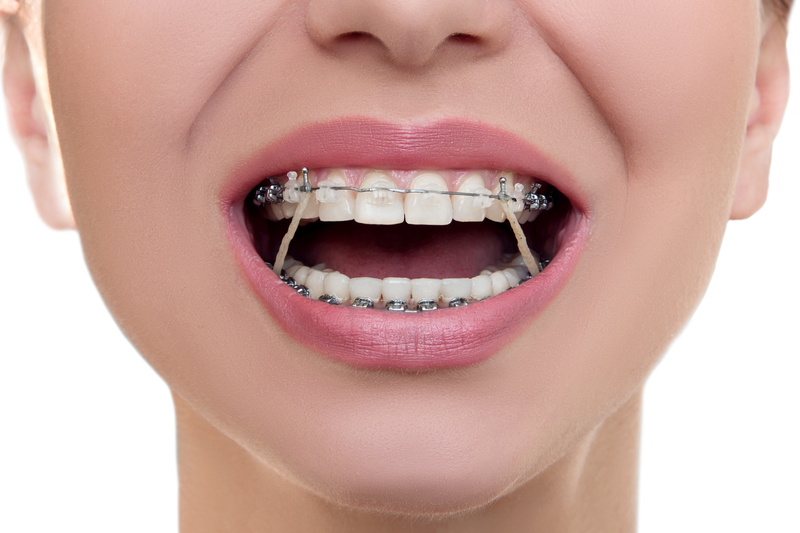 Loose or broke bands and brackets are also another annoyance that sometimes occur with braces. 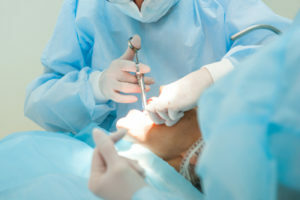 Although not considered an emergency, they normally break due to patient’s eating prohibited foods or picking at their braces. Whenever this occurs, place a piece of wax on the spot of irritation and wait until your next orthodontic appointment, unless the broken bracket breaks on one of the upper or lower front four teeth, then call your orthodontist as soon as possible. Protruding wires are not only bothersome, but can stab the inside of your lips and mouth if not fixed. Wires can come loose from eating sticky foods, like candy, or by picking at your braces. If this has occurred, try using a Q-tip or pencil eraser to push the wire in towards the teeth. To avoid accidental damage to the wire, make sure to not bite your nails or pens and pencils. In rare occasions, a piece of the appliance may break and be swallowed by the patient. Although alarming, keep calm and have someone look in your mouth to see if the appliance if visible. If confident that you can remove it, you may carefully attempt to do so. If you are unable to see the piece, are coughing excessively, or having difficulty breathing, that could be a sign that the piece could have been aspirated and you should contact your orthodontist immediately. Unless under extenuating circumstances, most dental emergencies are avoidable. 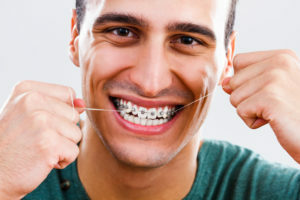 Maintaining good oral health and hygiene throughout your time with braces is vital in ensuring healthy teeth and gums, and preventing cavities. Food particles are easier to get stuck between braces, and when not cleaned thoroughly, can lead to other dental emergencies, like tooth decay, which can cause major complications. Hard foods, sticky foods, and foods high in sugar should be avoided as they are known to break brackets and cause cavities, which you more susceptible of developing while wearing braces. Some of the need-to-avoid foods include hard candy, nuts, apples, popcorn, ice, gum, caramel, and licorice. Because braces are so notorious for getting food stuck in them, make sure that you are brushing after every meal to prevent staining and reducing bacteria buildup in your mouth. Use a soft brush, and brush each tooth by starting at the top and brushing down, then repeating the motion and brushing up around each bracket. Use threadable floss of a floss threader to get the hard to reach areas in between teeth that are covered by the archwire. Using the pointed end, insert between the teeth and gently move the floss back and forth between the two teeth. For added care, use a proxabrush, sometimes called a “Christmas tree brush,” to scrub between each bracket in an up and down motion to get any extra gunk that might be stuck there. For any dental emergencies that you might be having, make sure to contact Belmar Orthodontics at (303) 225-9016 for your next consultation!